At GRUEBER, technical progress has a long tradition. Because our aspiration is to act as a driving force, we continuously and proactively develop new possibilities for optimisation. To do so, we are always looking for new materials, surface treatments, production processes and machinery solutions as well as testing and inspection devices. The benefit: we provide support for our customers, even if there are complex questions and challenges to master on the way to innovation. This is how we bring ourselves dynamically into our customers’ development processes and make contributions toward pioneering products and solutions. In our cooperation with our customers, we see ourselves as consultants, developers, manufacturers and partners. We like to be involved early on in development projects and provide ideas that contribute to better overall solutions. Here we look beyond the horizon and design our products, down to each detail, so that they provide the maximum technical and economic benefits. Because our services have been proven in practice, we offer our customers the best possible support, above and beyond our products. 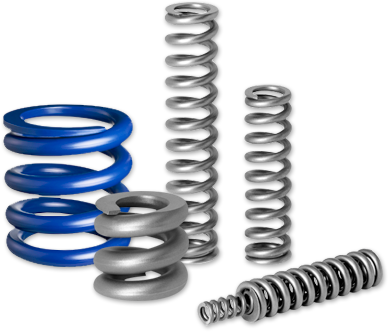 Selecting the right material is particularly important for the trouble-free, long-term function of our springs and bent parts. In terms of their product design, our customers benefit from the extensive materials expertise of our designers and engineers. Moreover, we rely on quality suppliers, who always provide us with high-quality materials that meet standard requirements. Of course, we inspect all material deliveries before we use the material in production. To ensure material quality, we use defined processes: provision of primary materials with acceptance test certificate, quality check at receiving, continuously updated supplier evaluation. Also in the cold forming process, the quality and traceability of primary materials as well as of suppliers are of particular importance to us. We pay attention to every detail, from transport and storage of the wire coils and across all manufacturing stages up to certified quality checks and delivery of the final products. Forming on innovative, CNC-controlled coiling machines as well as our transparent tool management or the defined monitoring and optical measurement of geometries, plus controlled heat treatment after coiling – all this leads to products that have proven to be reliable and durable for decades. The manufacturing process of hot forming starts with tested, top-quality primary materials from selected suppliers. Through controlled heating in the forming process on CNC-controlled coiling machines, the materials and surfaces are processed as carefully as possible. 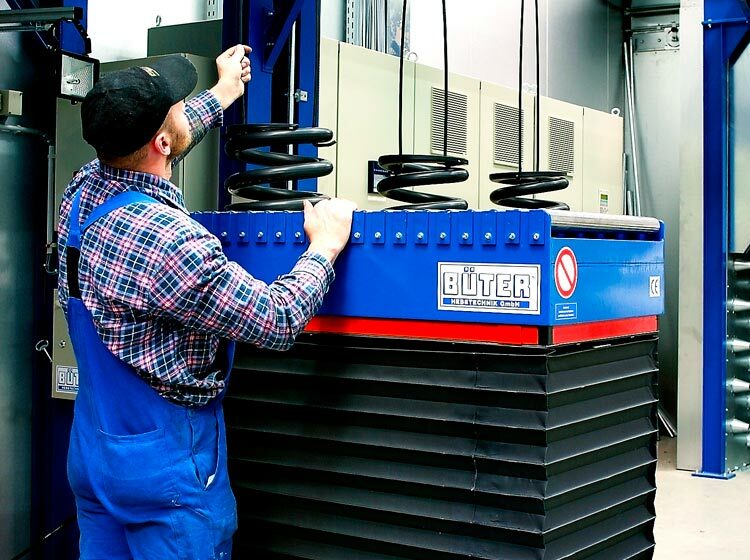 In order to avoid decarburisation, the robots in our production lines transport the springs directly from the forming temperature into the hardening medium. In quality-assured processes, constant temperatures and times (in hardening and tempering) guarantee the constant quality of our products. In daily use, GRUEBER springs and bent parts are often exposed to harsh weather and environmental conditions. So that the products function safely and reliably over the long term, we use various surface treatments to ensure high-quality protection. Most important here: liquid coating with water-based products and powder coating, including pre-treatment with zinc-manganese phosphating. Of course, we are happy to customise the surfaces based on other customer requirements. By request, we label products using colour coding, pad printing, manufacturer labelling, labelling strips or labels. It’s the people who make the difference at GRUEBER. In addition to technology, processes and quality management, above all it is our employees that make the difference. They are highly specialised in everything to do with spring production. It is important to us to require all employees use their talents and capabilities and to provide support for them. To do this, we rely on continual training and advanced education. This forms the basis for a high degree of motivation as the foundation for the production of extraordinary products. Quality. Made in Germany. Promised. We make GRUEBER products at our Hagen-Kabel location. They are completely “Made in Germany”. With lean processes and state-of-the-art machinery, we combine speed with the highest degree of precision. In this way, we can quickly supply a level of quality that absolutely guarantees reliability and safety. We implement the GRUEBER quality idea along the entire value chain using a quality management system certified in accordance with DIN EN ISO 9001:2015. We used advanced quality testing stands to check the quality of our products. In this way, we can continually carry out service life testing on our response spring testing stand or endurance testing stand. Holistic logistics concept. Just in time. One essential aspect of our understanding of quality is to make products available in the right place at the right time. We act quickly and reliably, we are there for our customers, and we think ahead. This applies also – and in particular – to our logistics concept, which guarantees just-in-time delivery as well as the adaptation to customer processes in development and production. Looking for a special spring? Just ask. You can call us anytime. We will process your request immediately and present you with a solution.